Dr. Arlene G. Krieger is a Licensed Marriage & Family Therapist, Licensed Mental Health Counselor and a Board Certified Clinical Sexologist. Dr. Krieger offers Individual, Child and Adolescent, Family, Relationship and Marriage Counseling. Please call us today 561.361.9991 to schedule an appointment and start your path to happiness! Benefits of Telephone Counseling: It’s convenient for you! Telephone Counseling meets you where you’re at, literally and figuratively. It’s there for you NOW. Many times you need to talk to someone in the moment and time of your concerns. Or you just have one important question that you’d like some feedback on. It may be that you’re not too comfortable talking face-to-face about intimate details of your life. Or sometimes, you just need a little direction, not enough to warrant the time and energy it takes to fully commit to ongoing counseling. Telephone counseling is done by appointment only. I can call you or you can call me, whichever you prefer. If you prefer that I not return your phone call and you’ve reached my voice mail system, please leave your name and some preferred times for an appointment. I cannot assure availability without mutual confirmation, so it may be helpful to provide alternate ways to communicate (such as email) in order to confirm an appointment time. Relationships take time, commitment and the willingness to engage in true intimacy with one another. Your background and your beliefs are the unique and individual pieces that you and your partner bring into the relationship. In my private practice as a Marriage & Family Therapist, and Board Certified Clinical Sexologist, understanding the complexities of relationships is a lifelong journey. This academic pursuit of clinical experience and expertise, along with my life experience enables me to fully understand the dynamics of relationship. Although relationships bring both comfort and confusion, it is a vital and integral part of life. Relationships are ours to choose and create and what we bring to them and gain from them are the determinants of either great happiness or pain. Here in a safe and neutral environment, you can find the help you need to get the relationships you want and deserve. You can be seen for sessions individually or as a couple. Sessions are 60 minutes in length. Although we are out of network providers, we will help you to file your insurance so that you may be reimbursed by your health plan if eligible. Dr. Krieger, utilizes Post-modern therapeutic techniques with a focus on narrative and systemic family therapy, as opposed to long-term psycho dynamic (Freudian) techniques, which can result in lengthy years of therapy without realistic solutions for the current problems patients are living with. Here in a comfortable setting, the Doctor will develop a personal treatment plan for your concerns and issues.This will enable you to gain the most from your sessions and gain focus for your future life goals within a shorter time frame (7-10 sessions) than most other mental health therapies. Hourly rates are based on a set hourly fee schedule and half hour basis for appointments that are either 1 hour, 90 minutes or two hours in length. 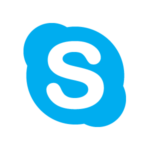 Skype sessions will be confirmed with you to ensure that the time slot is available and Dr. Krieger will call you back at the phone number you provide us with. Cancellation policy is 48 hours before your scheduled appointment, if you cancel within that time-frame you may credit your sesson fee to your next re-scheduled appointment. Your appointment time is scheduled in when you request to see the Doctor. We will make every effort to accomodate you. Please understand that this time is set aside especially for you when you book your appointment. If you are unable to keep your requested timeslot/ appointment, you are asked to please contact us 48 hours before appoinment if you need to cancel. Rates and fees may vary in reference to your Insurance Policy Co-pays, Cash Pay/ No Insurance, Etc. This session includes intake information, personal history, individual assessment plan, and application of the ‘Krieger Compatibility Inventory’. During this first appointment, you will meet with Dr. Krieger personally for the entire length of the session. Our fees are customary for this area and Dr. Krieger’s level of expertise. We are out of network providers. Each insurance company has their own set of guidelines for payment of claims and every insurance company has a multitude of plan options within a policy. There is no standard rate or reimbursement for an insurance company. We will help you file your insurance as a courtesy to you. Dr. Krieger is available to meet with you in her Boca Raton office or via Skype for video and telephone sessions.